Door benefits from heavy decorative raised mouldings in solid Walnut. 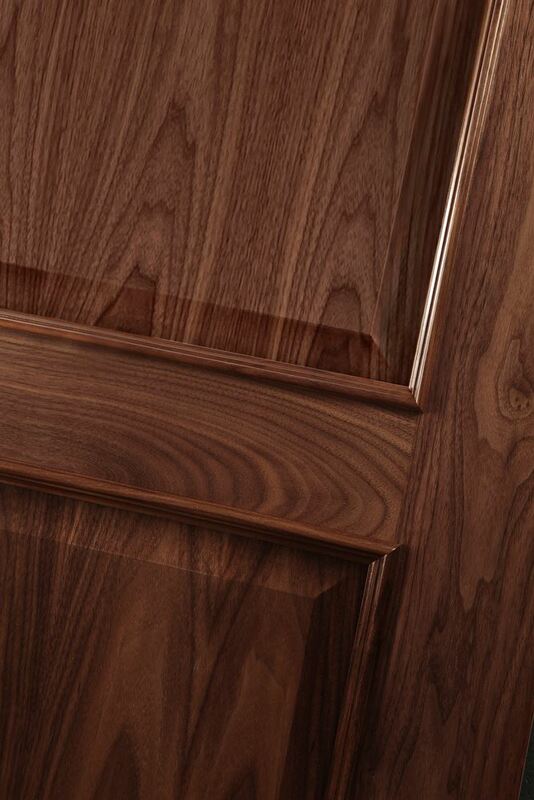 The Iris 2-Panel Walnut bespoke door is a made to order door with a solid core and superb engineering, which give it a substantial feel and make it resistant to bowing, twisting and warping. Additionally, the door is made to be robust and sturdy so that it will last a long time, making this door a great investment. The Iris 2-Panel Walnut bespoke door is a traditional internal door which is created from a carefully selected Black Walnut Veneer. The rich colour, natural patterns and unique texture make each door look different. The door has a solid core which makes it reliable, strong and able to withstand all kinds of pressure. To make this door look more traditional and attractive, the Black Walnut Veneer is pre-finished in a clear lacquer to achieve a more finished and refined look. Other than this, the door benefits from heavily decorated raised mouldings in Walnut veneer. 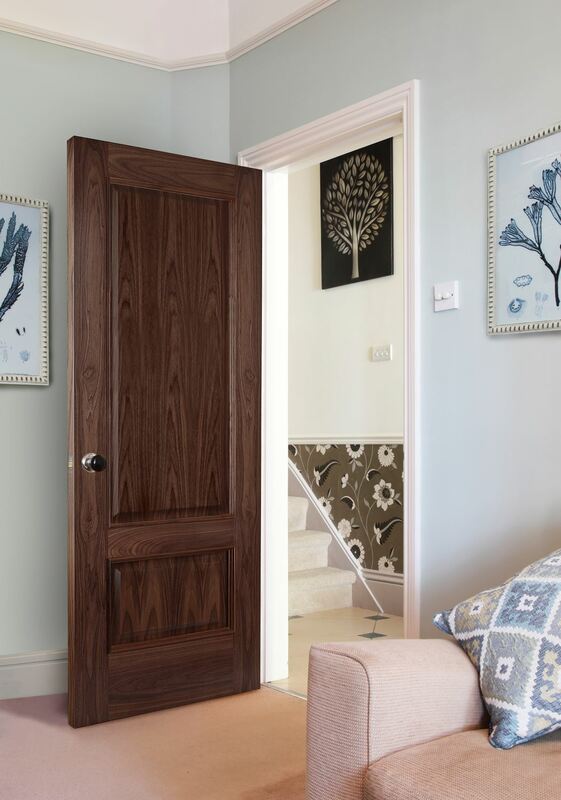 For buyers who are looking for stylish doors that offer good value for money and are both durable and long lasting, the Iris 2-Panel Walnut bespoke door is the perfect choice. Take up to 6mm off each edge, up to 12mm off the top and up to 50mm off the bottom.